...AND HAVE IMPLANTED MICRO-CHIPS AND/OR ELECTRODES. 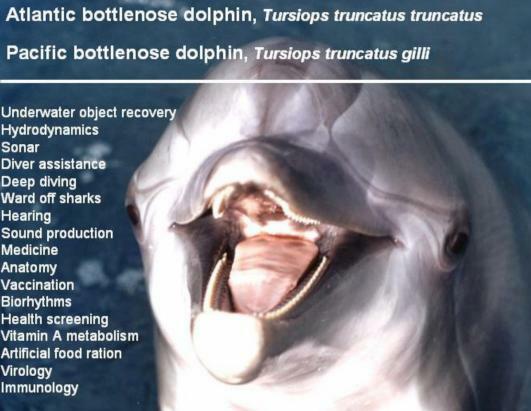 THE FUTURE FOR CETACEANS GLOBALLY? 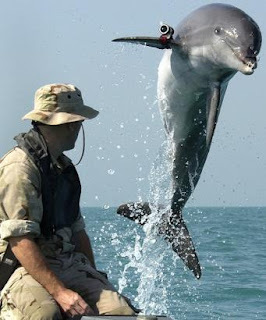 NOTE FROM JEFF: Immense thanks to StrandedNoMorefor their awesome and on-going work to expose the massive fraud being conducted by the U.S. Navy and the legion of 'marine biologists' they own and control through funding. These recent postings are clear demonstrations of the pervasive and sophisticated deception tactics and strategies that the army of Navy-funded 'scientists'...'b-grade sci-fi authors' is a more apt description...carry out on behalf of their money-masters. All this has NOTHING to do with valid scientific research, much less 'protecting' or 'understanding' the cetaceans, and EVERYTHING to do with giving the unwitting public the impression that they have been informed about genuine 'discoveries' from 'dedicated researchers' while in actuality, feeding them an unending stream of obamic info-cess designed to manipulate public perception so as to "distance the Navy and 'big oil' " from any causation or accountability related to their weapons, wastes, war-games, geo-physical exploration and hydro-carbon extraction activities that are KNOWN ABSOLUTELY to constitute the GREATEST GLOBAL THREATS TO CETACEANS THAT EXIST. REMEMBER that the U.S. Navy and all the other 'armed forces' work essentially for the hydro-carbon and mineral extraction companies, 'big oil', 'energy corporations.' The whole 'war on terror' is merely a public relations scam to provide pretexts for invadng and taking over ANY country where resources are to be found. These 'energy' corporations are in turned controlled by the banks and 'ruling elite.' Radical depopulation of land and sea is their top priority, along with total control of the global resource base. The following posting describes cetacean 'research' performed using a whale that is known to be deaf. These 'researchers' also want to use very loud sounds to warn the whales that very loud sounds might be coming. 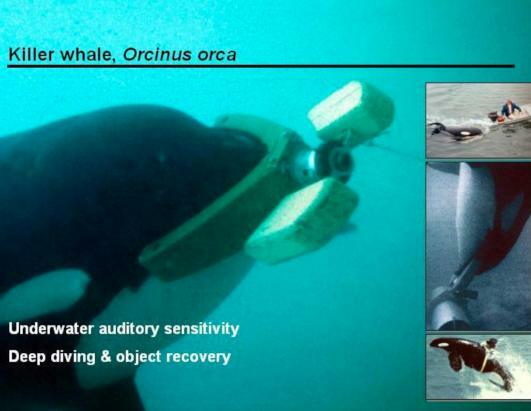 Navy Funded Scientists’ New Discovery: Whales Can Decrease the Sensitivity of their Hearing to Protect their Ears from Loud Noise. How Sweet! "This is your typical Navy funded study. 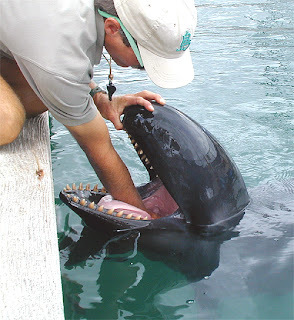 Take half deaf/half insane false killer whale that has been tortured for decades in a lab. Force her (aka “train” her, or she will not be fed) to do something and claim the victory with a whooping sample size of n=1 and transfer this findings to the wild populations. 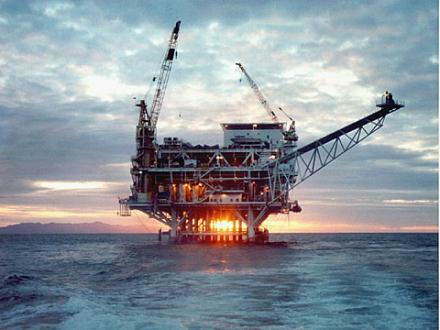 Give the Navy/Big Oil something to cite on those permits applications. In a mean time, ignore all strandings, do not investigate anything, do not search for any evidence. And most importantly have zero independent scientists (aka not funded by the Navy/Big Oil) working on a same issue. How &*^%$&* sweet!" In this posting Nataly continues the saga of the anomalous and on-going mass-strandings off the northern coast of Peru...WITHOUT A DOUBT being caused military-industrial activity in the area, which is a hot-bed of resource extraction and a 'free-for-all' feeding-frenzy for a wide spectrum of fraudulent 'oil companies' whose 'explorations' are little more than 'pr' to give their investors the impression that they are doing something with the billions of $ they have." The Drama Around Peru’s Die-off Is Not Over! We find it curious (although not entirely unexpected) how much effort is made to distance seismic surveys and Big Oil from this event. So now, apparently pollution caused the die off. What nobody tells you (yet again) is that if you pull a random cetacean from the middle of the ocean he will be loaded with pollutants. This is just the fact of life and the current state of our oceans. Just like morbillivirus, pollution is another convenient scapegoat because one can be almost 100% sure to find it in any stranded cetacean. For example, 90% of USA population have detectable levelsof BPA (pollutant from plastic) in their urine. If we are to apply the same logic as it was done in recent Nature article, we can say that when we happen to stumble upon train wreck with 100 human bodies laying around, we can say that pollution could have been the cause, after all all bodies tested positively for BPA and other stuff, like lead for example. Absurd right? But how come it is acceptable when it comes to cetaceans?" Speaking of fraud, hats off to Hardy Jones of http://www.bluevoice.org/ Jones' main occupation is being a photographer for CBS News. 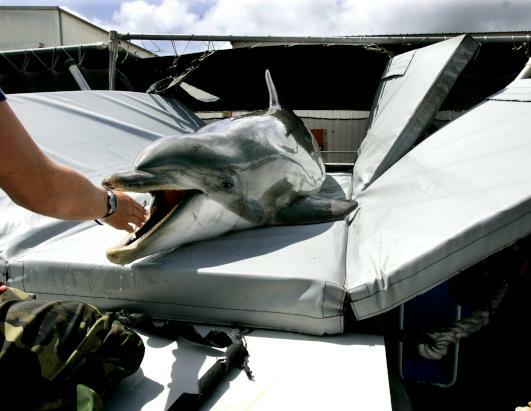 He claims to be 'funding' biological research done by Peruvian 'scientists' to determine the causes of the dolphin deaths there. This 'research' is riddled with contradictions, and the stories change from week to week. On his web-site, the MAIN thing you see is that he wants you to vote for him to be MARINE BIOLOGY ACTIVIST HERO OF THE YEAR or some obamic info-cess like that. Jones recently demanded that I stop emailing him after I posted an article about the U.S. Navy and depopulation of human and cetacean populations. I WILL give Jones the George Orwell Ministry of Truth award, whose motto is "Omission is the greatest form of lying." 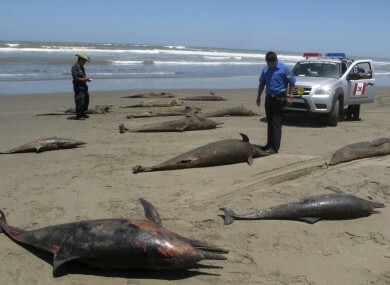 Veteran investigative journalist Peter Eyre has been spending a lot of time in Lima lately and has discoverd a lot of information about fraudulent oil companies, many of them based in the U.K. One of them, Gold and Oil, based in London, owns a lot of the exploration permits in the exact areas where the massive dolphin strandings have occurred. Check his latest posting for inside info on how this works and how extensive it is. 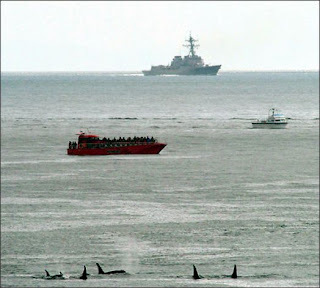 And here is a very interesting email from a former sailor named Lindia Storey, who has a petition going with over 480,000 signatures I hear to stop the U.S. Navy from getting their 'permit' to 'take' 11.5 million marine mammals, legally, and soon. The current information I am working with comes from the Navy's Environmental Impact Statement, the Honolulu Star newspaper, KPBS Public Radio San Diego, National Resources Defense Council and 5 other environmental groups that have recently filed suit against the Navy. Here is a link to 1 of the stories. Links to the Navy EIS statement is near the end of this letter. My expertise in this matter has also been questioned, so here it is. I am a sailor and have spent lots of time on the ocean for the past 30 years. I have sailed the Pacific going for as long as 20 days without seeing land, ship or plane.... It's hard to imagine until you experience it, just how big the ocean really is. Professionally I have degrees in Social Work and Public Administration. I also have a successful company marketing high quality nutritional products. I don't watch TV so I have an additional 15 to 30 hours weekly to follow my interests, whales and dolphins being one. That 15 - 30 hours weekly adds up over a 30 year period of time! While I do not have a credential as an "expert" in animal social behavior I am a good study.... self educated..... Great first hand expertise ...I have spent a lot of time in the water with whales and dolphins.....And do have a keen sense in observing the ocean and sea creatures. This is just one of my interests. I am also deeply involved with educating people about the nuclear disaster we have created all over the earth, and how that is affecting our health, the health of our children and our future generations. You may see a petition from me regarding that in the near future. This underwater sound project is a program that has been in effect for more than 20 years. 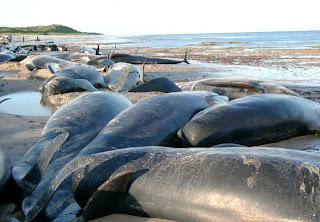 There are a number of incidents of whales & dolphins bebeaching themselves. The sound boxes are all over the world with a concentration in Hawaii and in Monterey Bay (a sanctuary) in California. I became educated regarding this issues in Hawaii and was instrumental (with a small group of wonderful people, including the Mayor) in bringing the Navy to Kauai for a hearing in 1992. At that time the Navy requested placing the boxes off Kauai and said none had been installed. We learned later they had been in the water for more than a year. The boxes emit sound frequencies that are damaging to the ears of marine mammals who are close by. The Navy expects that a certain number will die or loose their hearing...which for an animal that moves thru sound and energy frequencies is death. This petition you signed does not mention the damage done to seals, otters or any other marine life although that is included in the Navy EIS. 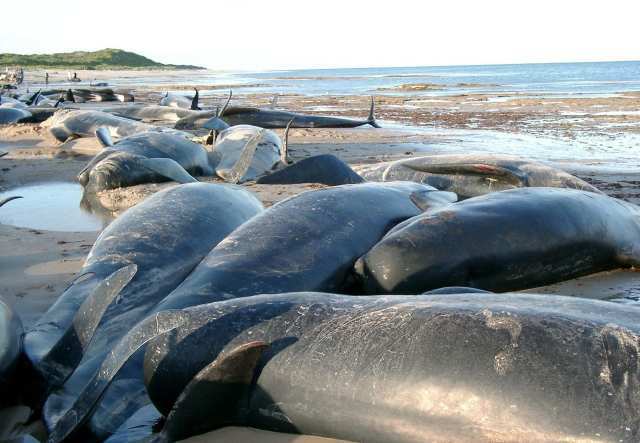 The Navy reports on deaths of the whales and dolphins who beach themselves and it can be proven that they died from the sound impact. Most whales and dolphins aren't huddling on a shoreline and most probably if they are injured or die, are not counted. With low frequency, high decibel sound, the animal will swim away from the sound which means out to sea. There are some reports of ones that wash up on the beach bleeding from their body cavities... the Navy's response is generally to say it's hard to prove if we are responsible for the deaths (how do you prove something like this? 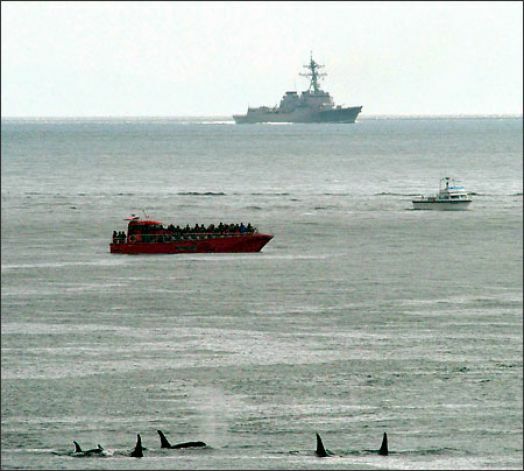 The way the Navy decides if it is safe to do the testing, is to have a lookout on board ships who watches for whales or dolphins. As I said earlier, the ocean is vast and oftentimes you cannot even see another 200-400’ ship until you are very close. To see a whale or dolphin would be nearly impossible unless they swim up to the boat. The numbers are the Navy's estimates although they also state they aren't sure any will be killed. In the Navy’s EIS and when they talk about death to the animals, it is referred to as “take” so don’t be fooled by the sanitizing word for death. Another question that has been asked is why would the Navy do this program. Twenty years ago the story from the Navy indicated it was the only way they could measure the temperature of the ocean to check for global warming. The answer was questionable to those of us who knew there were other ways. 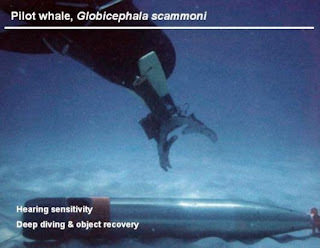 Now they say it is for defense purposes, to detect submarines (fear is a big seller these days, since 9-11). Some of the Navy ships also carry this sound capability. The reason they do this underwater sound is unknown to me. I am just happy to have been around long enough to remember the "history" of the project and to know that what is being said today is different from what we were told 20 years ago. There are so many instances of rewritten history and this may be one of them. The link below that will allow you to go directly to the main Navy site where you can read the EIS (all thousands of pages) if you need more information; you or your friends can continue to post your comments there. 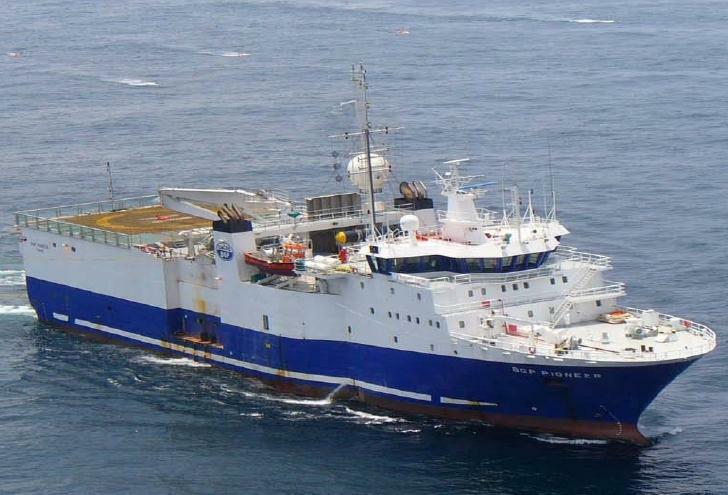 It is important to note that this EIS is required by the Navy in order to update its environmental permits to continue this testing in Hawaiian and California waters. Your comments and names have to be included, so if you are in agreement with stopping this please make your voice heard. Whatever your passion is, please follow it. The world is badly in need of people who are not afraid to speak their truth, educate their fellow humans and to follow their interests with great gusto. We will all benefit from your passionate exploration of life!